A Discussion with the Vidyadhara Chögyam Trungpa Rinpoche and the Translation Committee. The character and style of translation meetings with the Vidyadhara were often fairly straightforward and businesslike. 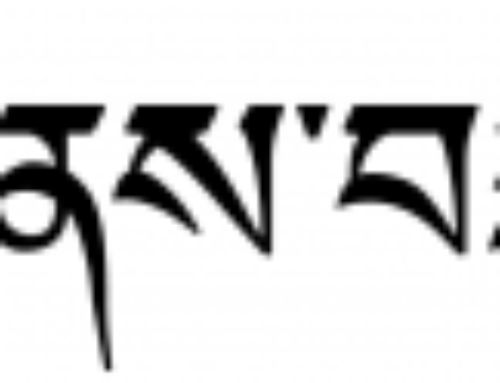 There was a job at hand, translating a dharma text, usually from Tibetan into English. So we all followed our teacher’s lead and generally stayed on task, unless of course he leaned out into the wind a bit, which sometimes resulted in a gem of a conversation like the following. In the midst of digitizing and archiving our tapes of previous translation meetings with the Vidyadhara, Tingdzin Ö tro rediscovered this jewel, and we are happy to present it to you. The following discussion took place during a translation meeting on The Rain of Wisdomat the 1979 Vajradhatu Seminary. Present at the meeting were the Vidyadhara (VCTR), Robin Kornman (RK), Jud Levinson (JL), Larry Mermelstein (LM), John Rockwell (JR), and Scott Wellenbach (SW). A shorter condensed version appears as “Glimpses of Alaya (Condensed Version)” on our Translation Offerings page. This basic ground does not depend on relative situations at all. It is natural being which just is. Energies appear out of this basic ground and those energies are the source of the development of relative situations. Sparks of duality, intensity and sharpness, flashes of wisdom and knowledge—all sorts of things come out of the basic ground. So the basic ground is the source of confusion and also the source of liberation. . . . The eighth consciousness arises when the energy which flashes out of the basic ground brings about a sort of blinding effect, bewilderment. That bewilderment becomes the eighth consciousness, the basic ground for ego. In the following discussion, in addition to the alaya of the eighth consciousness and the alaya of the basic ground, there appears a third type of alaya, whose nature is self-aware and luminous (Tib. rang rik rang sel). JL: In the text, there are images of a dancer, a magician, and a stage. VCTR: Alaya is like a dancer, and yi (Tib. ; San. manas; “mind”) is like a magician with the dancer. Then [inaudible] is put together with namshe (Tib. “consciousness”), the stage. JL: I do not understand why the alaya is like a dancer. VCTR: It is not alaya. It is chitta, which seems to include more than alaya. RK: How can you say that alaya is active like a dancer? VCTR: You cannot quite. It is chitta. What is the Sanskrit word for sem (Tib. “mind”)? VCTR: Yes, that is better. JL: In Garuda IV, you said that the alaya is basically sem. VCTR: Sem is what comes out of alaya. Sem is defined as “that which minds an object.” Alaya is the background, and sem is what creates the split. Then out of that comes the yi, which is like drawing in. Yi is almost like a receiver. Sem is like an arm stretching out, which then brings back yi. Then the sixth consciousness, which can be referred to as the fifth skandha, edits the whole thing. Then it becomes presentable to rikpa (Tib. “awareness”). JL: What is rikpa here? VCTR: Rikpa is discriminating awareness. RK: Is rikpa one of the eight consciousnesses? RK: Does the seventh consciousness reach into the alaya in order to find an object? In other words, where does it get its objects, such as apples and pears? VCTR: Those are probably recognized as objects by the seventh consciousness. RK: Does the yogachara school say that this glass exists in any sense? Or is it just something that arose as my perceptions out of the alaya? VCTR: It gets complicated, because you have crude kündzop (Tib. ; San. samvriti; “relative” reality), which exists without your mind. Then the concept of “glass” actually makes a glass a glass. RK: Does crude kündzop exist without my mind? VCTR: Yes, from the yogacharin point of view. But the glass would not survive as a glass unless you perceive it. The seventh consciousness reaches out and makes it into a glass. RK: How does the seventh consciousness use the alaya to make it into a glass? VCTR: The alaya is the quality of light that exposes things, like sunshine. RK: How would a bija (San. ; karmic “seed”) and the vasanas (San. ; Tib. bakchak; “habitual pattern”) in the alaya participate in my turning this into a glass? Are both the bijas and habitual patterns in the alaya? VCTR: No, the vasanas are not there. Generally, there are different types of alaya: a lower level, or storehouse consciousness, and a higher level, which is basic brilliantness. JL: Is that what is referred to in Atisha’s slogan, “Rest in the nature of alaya”? JL: It is pure tathagatagarbha. RK: Would we call the lower alaya the unconciousness of an ego? VCTR: It contains a lot of stories and habitual patterns. RK: The seventh consciousness takes crude kündzop and uses bijas and habitual patterns . . .
VCTR: As a reference point, as a comparison. RK: It presents it to the sixth consciousness? VCTR: Yes. Then comes the sixth consciousness, which edits. JR: Is the seventh consciousness mainly a sense of fixation? VCTR: It is what reaches out. SW: Is crude kündzop actually a part of the lower level of alaya? VCTR: No, crude kündzop is just what it is. However, the vajrayana would say that there is no such thing as crude kündzop. It would say that everything is dharmata, or something like that. JL: Would that be closer to the vajrayana understanding of what the brilliance of alaya is? VCTR: Yes, prabhasvara (San. ; Tib. ösel; “luminosity”). That is why you can bless the world, because every k ü ndzop is an expression of dharmata. RK: Blessing is just acknowledging what it really is. SW: It is sacred outlook. JL: If the higher level of alaya is brilliance, is there also a dharmakaya level of alaya? Is there a formless purity before it becomes luminous? VCTR: Yes. According to vajrayana, there is the dharmata itself, which you return to at the moment of your death. It is just dissolving. After the moment of death, there is the bardo of dharmata, which goes beyond the alaya, even beyond the brilliance. It is just a kind of blankness—dead. JL: The vajrayana seems to say that there are three types of alaya: complete purity or dharmata, luminosity, and the alaya that gives birth to grasping. RK: Which of these is post-split, pre-split, and at the split? For example, I take it that the lower alaya, which is responsible for our ego, is not still. RK: When we rest in alaya in our regular shamatha practice, the only thing I find to rest in is still a kind of vibrating. It is as if thoughts are being thrown out, and I am bubbling and throwing them out. There is no sense of complete peace, but there is a sense of being behind the thoughts as they come out. Is that the lower alaya? VCTR: It could be seeing the lower alaya, though connected with the luminous aspect a little bit. If you are in the state of fickleness, you cannot see it because you are it. You begin to see it because you are beginning to be a little steady; therefore you have a reference point. The reason you see the fickleness might be because the luminous aspect allows you to step back a little. RK: So I am almost behind the lower alaya? VCTR: You are beyond it a little bit. JL: Is the point of coemergence in the luminous alaya? VCTR: No, the luminous alaya goes beyond that. Coemergence occurs at the level of dharmata. JL: It is completely pure. RK: When things split into samsara and nirvana . . .
VCTR: That is what coemergence is. When you reach the bardo of dharmata, you have a chance of either splitting downward or not. That is where coemergent ignorance and coemergent wisdom arise. JR: Is that the sense of shying away from bright lights and going toward the dull lights? VCTR: No, that comes afterwards, after you wake up from the bardo of dharmata. RK: If you wake up from dharmata and go toward coemergent ignorance, then you are presented with the lights. VCTR: Yes. But that point is slightly hopeless, because you are already in duality. RK: But if you go in the direction of coemergent wisdom, you are enlightened. VCTR: You at least glimpse it. LM: At every Seminary I have attended, we have had a discussion about alaya. But in the past, there have been only two: one that is a sense of very primordial egolike consciousness and the other that is much more kosher. What is the third one? JL: So there is not even luminosity. JL: By the time the experience of luminosity takes place, the split has already occurred. VCTR: There are two kinds of luminosity: the luminosity of coemergent wisdom and the luminosity of the basic alaya. JL: Does the luminosity of coemergent wisdom take place at the level of dharmata? VCTR: It takes place after the coemergence. JL: There is coemergent wisdom, which is luminous, and coemergent ignorance, which is dull. VCTR: You could still be light as you are coming down from the lower alaya level. JL: Within the prabhasvara, the luminosity-brilliance level, there are two kinds of brilliance: coemergent-wisdom brilliance and a coemergent-ignorance light that continues down into the basic alaya. VCTR: No. The separation takes place at the level of dull dharmata. RK: When you say “separation,” do you mean coemergent wisdom? RK: Is the lower alaya post-split? RK: The lower alaya is on the side of samsara. RK: Is the higher alaya also post-split? VCTR: No, the higher alaya is neutral. LM: Is that the alaya referred to in the slogan, “Rest in the nature of alaya”? LM: Which alaya did Khyentse Rinpoche refer to when he said, “Begin by resting in the nature of alaya”? Is it the level of dharmata? VCTR: To teach ordinary beings, any higher or more awakened form must be reached through the lower level of alaya. RK: That is what you told the Seminary to do: rest in the lower alaya. VCTR: Yes, because it is reachable. JL: Would that be the neutral luminosity? VCTR: It is not even neutral. It is just before any thoughts arise, which is very ordinary. There is a gap. LM: It is not very brilliant. VCTR: It is not as brilliant. It is also called shepa rang rik rang sel (“self-aware and self-luminous knowing”). RK: Because you are looking at yourself. VCTR: It is called shepa rang rik rang sel. It is the shepa (“knowing,” “consciousness,” or “mind”). RK: So it is still dualistic in some sense. RK: Depending on what you mean by rang rik rang sel. VCTR: In this ordinary rang rik rang sel, you self-liberate consciousness only momentarily. RK: But that is just looking at yourself basically. RK: Because that is what we do when we get to the lower alaya. VCTR: That is right, yes. LM: What is the term for the higher alaya? LM: Does that mean it is more free from qualities? VCTR: It is the place where the split has occurred. LM: Is it the ultimate one, which is more like dharmata? VCTR: Out of that ultimate alaya, you could have a split. Finally, ultimate alaya is the atmosphere where the split can occur. RK: When you have coemergent wisdom, there is a sacred side and a samsaric side. RK: Where does the sense of enlightenment or sacredness come from? Is it sacred because it comes out of the ultimate alaya? VCTR: You could say that. Ultimate alaya at least holds the potentialities of the whole thing. We could say that samsara came out of some kind of freedom. That is the basic logic why anyone can attain enlightenment. RK: Is coemergence the fact that samsara came out of that ground? RK: So only one thing comes out? LM: Both things come out. For coemergence, two things have to emerge. VCTR: Yes, it depends on which ones merge (sic). JL: Is that a vajrayana take on where tathagatagarbha comes from, why everyone could become enlightened? VCTR: The ultimate alaya is also found in the mahayana. LM: Can that be described? VCTR: It is the nonthought level, into which the luminous mind dissolves. RK: The lower luminous mind dissolves into the nonthought level? LM: The lower luminous mind is . . .
RK: And that is as samsaric as the lower alaya. VCTR: Which is the third one, the alaya that stores memories. JL: That is what we call alaya in the conventional sense. We have been mixing together the luminous alaya and the completely pure alaya. Does the split come out of the ultimate alaya? VCTR: Yes, well. . . .
RK: The three alayas are shepa rang rik (Tib. “self-aware knowing”), ö sel (“luminosity”), and künshi nampar tok (“alaya of conceptual thought”). VCTR: Yes. The last one contains the habitual patterns. RK: Do we rest in the alaya of conceptual thought? VCTR: No, we rest in the self-luminous self-aware mind. LM: Is the conceptual alaya not used in meditation practice? VCTR: It is more ignorant and discursive, so you cannot work with it particularly. We are trying to take one step back to the shepa rang rik rang sel. RK: Is ultimate alaya at the dharmata level? RK: Which point is pre-coemergence—the ultimate alaya? VCTR: Yes. The split comes in the ultimate alaya. When you split, you are already well on your way to samsara. Then you have the experience of shepa rang rik rang sel. RK: Coemergent wisdom is represented as one thing coming up and then splitting into two. But here I do not see two things. I just see a ground from which one thing comes. VCTR: That is the idea. If any birth takes place, you have to prepare yourself. JL: And that declaration takes place in the ultimate alaya? RK: Is that when you decide to split? RK: In meditation, is our approach to identify with the ultimate alaya? VCTR: New practitioners try to meditate with the shepa rang rik rang sel. RK: When meditators practice coemergent wisdom, does the sense of the ground make it coemergent wisdom instead of coemergent ignorance? VCTR: Yes. You try to tune yourself into the ultimate alaya, and from there you try to flash. RK: You flash on phenomena evolving? RK: You sort of drop back, and then you let things happen. JL: And you catch it right at that point, just before it does anything. RK: You drop back to the point before thought arises, then you let the thought arise, but you flash on it as it arises. VCTR: Not quite. You just flash. LM: It is like saturating yourself first, then you let go of that. VCTR: Yes. When you create pressure, then you can pop the balloon. JL: Are you popping the balloon of your thoughts? VCTR: You are popping your alaya. JR: Then quite anything could come out [laughter]. SW: Does it come out as sacred? VCTR: Absolutely, yes. You have sacred outlook. RK: It is like you have a balloon full of water and a swimming pool? You drop the balloon into the swimming pool and then pop it. LM: Or you swell up your balloon with whatever, then you pop it by going out. LM: And what you pop into would be sacred, the ultimate alaya. VCTR: Then you could go a little beyond the ultimate alaya. JR: Does this relate to “First thought, best thought”? VCTR: Yes, very much so. LM: Is that why we have some sense of schmooze about the whole thing? VCTR: Yes. There is a term called tangpo sang-gye (Tib. “first buddha”), the zero buddha. RK: When you rest in ultimate alaya, is there the same schmoozy, bubbling sense that you have at the level of shepa rang rik rang sel? VCTR: It is more powerful because you are no longer subject to any karmic bringing down. LM: When you hold, it seems there is a sense of condemnation of the lower two alayas. VCTR: A little bit, depending on how you hold it. RK: So it is like you hold it, pop it, and the drop into ultimate alaya, or a little bit before. VCTR: You hold it in the ultimate alaya. You pass beyond the luminous mind, or lower level. You hold it in the ultimate alaya, and then you pop it there. LM: Then that is what you are left with. VCTR: That is the level where you can actually transcend the karmic force. Once you slowly go downward toward the luminous mind, you are bound by karma. So you are helpless in some sense. That is where the seventh consciousness comes from. You have been forced. JL: Once it is popped, you start coming back down again in a sense. You expand back in through phenomena. VCTR: Sometimes you just pop and then come back, because you cannot sustain it. But if you pop it many times, you are able to sustain it more. The idea is to flash as much as you can so that you will finally be able to sustain it. JL: Then you just dwell there. VCTR: “Dwell” is not exactly the right word. JL: How would you describe it? VCTR: There is some level of awake and space, I suppose. JL: No subject and no object. VCTR: No. You come down from the dharmakaya level to the sambhogakaya level. LM: So are we talking about the dharmakaya principle? VCTR: We are talking about the first buddha, which we usually refer to as Samantabhadra and which is higher than Vajradhara. LM: So this is the dharmakaya of dharmakaya. VCTR: Right, which is a very early stage, even beyond the ultimate alaya. RK: So the first buddha is beyond ultimate alaya. LM: Would ultimate alaya have more sense of dharmakaya or sambhogakaya? VCTR: There is not very much there. It is just the atmosphere where the split can occur, sort of a neutral ground. JL: So it is not particularly related to dharmakaya. VCTR: No. It is not related to the kayas at all. LM: It is not formed yet in any sense. SW: It is like dharmadhatu? VCTR: Dharmadhatu is beyond that. Dharmadhatu is before the first buddha. SW: And vajradhatu before that? LM: Is that because, with vajradhatu and dharmadhatu, we are talking about a very cosmic level, rather than any level of mind? VCTR: Yes. That is why we describe it with such terms as trödrel (“simplicity”), gyurme(“unchanging”) and soma (“fresh”). RK: When you hold yourself back in the ultimate alaya, is there a sense of holding your discursive thoughts still? VCTR: You have to retreat back to the origin. So it is holding discursive thoughts and also going beyond the luminous aspect. RK: So it is a very neutral feeling. RK: You cannot possibly hold it, so you drop it. RK: And you do not entertain any doubts about this process. VCTR: That is why it is called the “fourth moment beyond the three.” It is so minute. It is subtle and vajra, like the middle of space. RK: It is as unchanging as a vajra and as subtle as the middle of space (probable reference to the fourth abhisheka of the Chakrasamvara Sadhana). JL: Therefore, it is outside of time. JL: Therefore, there is no karma. JL: So that is the vajrayana take on the twelve nidanas. VCTR: Yes, they do not exist. RK: So there is no luminosity? VCTR: There is the greater luminosity, which is coemergent wisdom itself. That luminosity also contains softness and so forth. RK: Where does that greater luminosity come from? VCTR: From the practitioner’s point of view, it comes from the coemergent moment of fresh. You are thrown into an entirely different space. There is also some sense of comfort, which is known as mahasukha. JL: When we talk about attaining mahamudra, it that what we are talking about? VCTR: Yes, that is the fourth moment. RK: It is curious that in order to appreciate coemergence, you have to be at a level after ultimate alaya. Coemergence means that something has come into being. RK: So it is as if you were in two places at once. VCTR: No, not necessarily. When you were born, you were born with two things: yourself and your placenta. Your umbilical cord is cut and your placenta is cooked, or whatever. You come out as separate. So you have coemergence there. LM: Since coemergence predates the luminous alaya . . .
LM: No, the middle one that we have been talking about, the shepa rang rik. VCTR: That is the lower one. LM: Since coemergence comes before that, when we experience the result or footprint of coemergence, could that tie into the experience of that alaya? It comes after you have already coemerged, but you notice it after the fact to some extent. There is some dropping of fixation, but not completely, since there is still samsaric kind of mind. VCTR: Do you mean ordinary people’s consciousness? VCTR: You kind of poke your head up and it goes back, because you are still pulled back by your karma. RK: So you keep on poking your head up. RK: The more pokes, the better. RK: At the same time, it makes coemergent wisdom not the highest wisdom. VCTR: Coemergent wisdom of that kind, which contains bliss, is the sambhogakaya level. That is why there is the coemergent mother and coemergent heruka. RK: So have you been talking about an ultimate coemergence level? LM: But that is even beyond the notion of wisdom. VCTR: Yes. It is emptiness, the essence. JL: So the first one is primordial purity (Tib. kadak). RK: Do you mean low in the sambhogakaya sense? RK: So that is a very relative situation. RK: It has discursive thoughts and everything going on. VCTR: A little bit. That is probably not really coemergent anyway. JL: Now we are down to the notion of resting in the nature of alaya? VCTR: Yes, something like that. RK: The sambhogakaya level of coemergence has mahasukha in it. RK: And that is coemergent out of the dharmakaya. VCTR: And you rise into the sambhogakaya. RK: What is the ground from which things coemerge? VCTR: It is the same ground. RK: So this is still the same coemergence that occurred, but you are standing further down the road. LM: It your experience of it not as realized? VCTR: You are brought down by this. You take off and come back down, but not quite to the samsaric level. JL: So bliss is some notion of conditionedness. VCTR: No, not karma at all. JL: Not karma, but it is not pure anymore. VCTR: It is the sambhogakaya level. JL: So there are qualities. VCTR: It is very helpful to have those, so that you can speak to confused people in their own language. Sambhogakaya is connected with the throat, speech, and compassion. LM: The point is that we can approach this from either perspective. We could go up to the sambhogakaya, or we could go down. And that is the point of mahamudra transmission, to go down to the sambhogakaya. VCTR: You go up to pure kadak. JL: Is the point of mahamudra to go up to kadak? RK: You go down to sambhogakaya instead of going up to kadak, because then you would just have emptiness and could not do anything. JL: Does mahamudra come out of kadak if you are coming down? RK: That sounds like mahamudra from a maha-ati perspective. VCTR: I would say that it is straight mahamudra. RK: Would mahamudra say that mahasukha is still relative in some sense? VCTR: No, it is the seed of buddha activity. RK: I am still confused. You talked about the union of mahasukha and jnana. Is that . . . ? VCTR: Jnana contains the mahasukha. RK: Is that still the sambhogakaya level? JL: In some way, mahasukha is the highest experience, because after that there would be nothing. VCTR: There would be some kind of ati experience. JL: But would there still be some kind of experience? VCTR: No, not experience, but space, a different kind of space. RK: It is like one of those Chinese dolls. VCTR: It is more like a soup. JR: Nettle soup [laughter], one taste. RK: But mahamudra talks about the dharmakaya level. RK: Does it talk about dharmakaya in terms of mahasukha, or is it just emptiness? VCTR: It is emptiness. . . .
LM: Isn’t the dharmakaya the third abhisheka? The fourth is the svabhavikakaya. LM: That is what it says right here (probable reference to the Chakrasamvara Sadhana). I read it in the book.